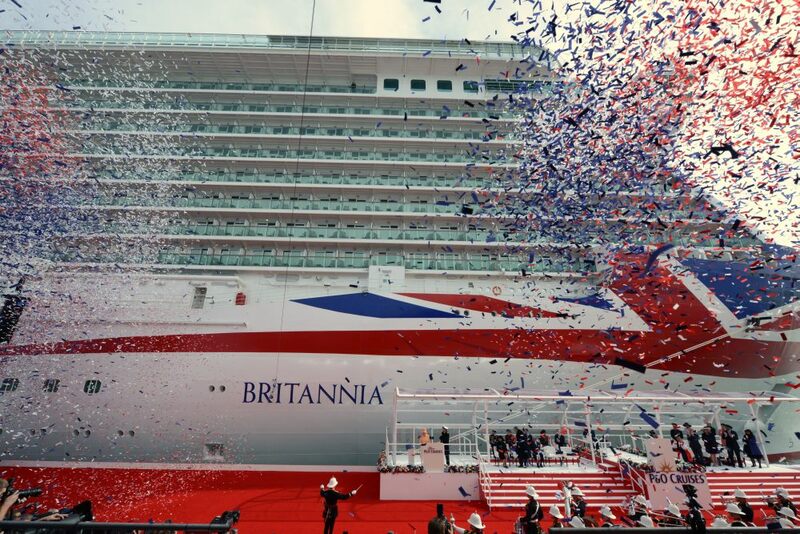 Captain Greybeard was invited to watch Her Majesty The Queen formally name Britannia, and he also got to look around on-board this latest cruise ship from P&O Cruises. OUTSIDE … it was all strikingly bright colours, from the colossal Union Jack emblazoned on Britannia’s bow to the scarlet dresses worn by the Strictly dancers. Even The Queen entered into the spirit of things with an almost fluorescent apricot ensemble that would have warmed the heart of the most enthusiastic health and safety enforcer. The Regimental Band of the Irish Guards kept their tunics hidden under grey greatcoats but the Band of HM Royal Marines Portsmouth livened things up with white helmets and red sashes. Best of all, the Red Hot Chilli Pipers wowed the audience with energetic versions of rock classics, and their bright red socks and sporrans. The ceremony’s host, comedian Rob Brydon, threw in a few colourful jokes, and the Right Rev Jonathan Frost, Bishop of Southampton, stood out on stage in a red-and-white get-up that would not have looked out of place at St Mary’s Stadium, home of his city’s football team. A Nebuchadnezzar of Wiston sparkling English wine got in on the act with its powder-blue label and red, white and blue pom-pom until The Queen pressed a big blue button to send it crashing against Britannia’s hull, and a blizzard of patriotic red, white and blue confetti filled the air. INSIDE … P&O’s biggest ship, the largest vessel designed specifically for the UK holiday market, displays a more soothing palette of colours – without descending into blandness. A sizeable chunk of the almost £500 million it cost to build the ship has been spent on commissioning designers Richmond International to create something more resembling a coolly elegant 5-star hotel than a floating fun palace. 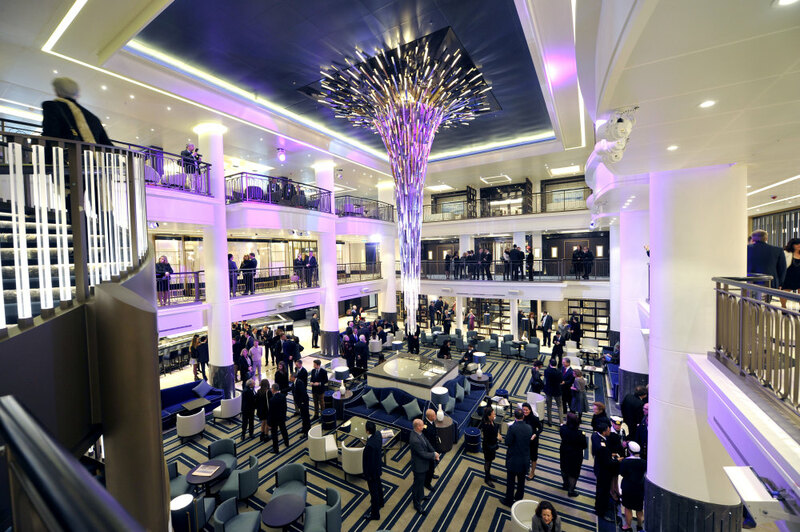 The sparkling Star Burst feature at the centre of the three-storey central atrium – described by Brydon as looking like one of Beyoncé’s earrings – is the one concession to bling; elsewhere it’s all burnished browns and creams and greys and creams – a generational leap from the décor in much of the rest of the P&O fleet. 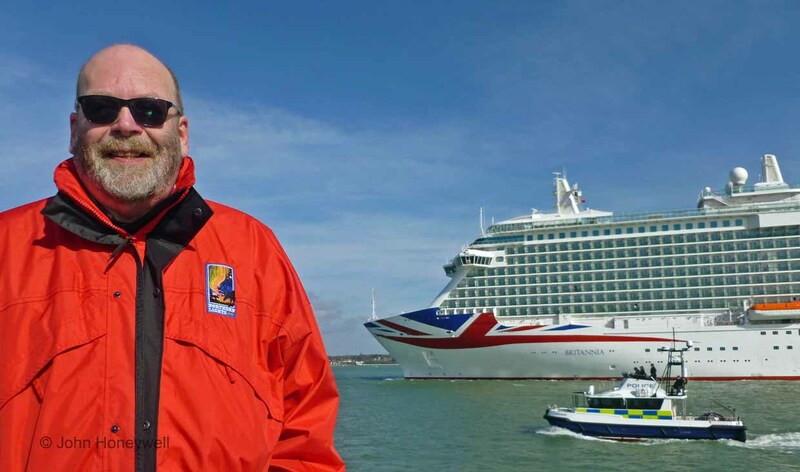 World of Cruising Editor John Honeywell will be taking a closer look at the ship during its maiden voyage, departing from Southampton on Saturday. His measured opinion will feature in the next issue of the magazine – out in early April – alongside the views of best-selling author Millie Johnson and CLIA’s Andy Harmer. Don’t miss it – Subscribe now.